Description: The winner of this lot will have the unique opportunity to cut their own bespoke suit with Huntsman's Head Cutter Dario Carnera. After a measurement session of 45 minutes, where the client will learn how to take all 30 measurements required to capture the shape of the body, he or she will learn how to match the weight, density and other technicalities of the cloth to the garment's functionality and aesthetics. They will then work together with Dario for around two hours to create their own bespoke patterns, learning how to draw a set of two-dimensional kraft paper patterns that are representative of their three-dimensional body. The buyer will then enjoy the guilty pleasure of cutting the cloth with those big tailor's shears. From there, they will see this masterpiece go through the various sewing stages, and, a few weeks later at the first fitting, will proceed to chalk mark the baste and finally see the results of their labour. 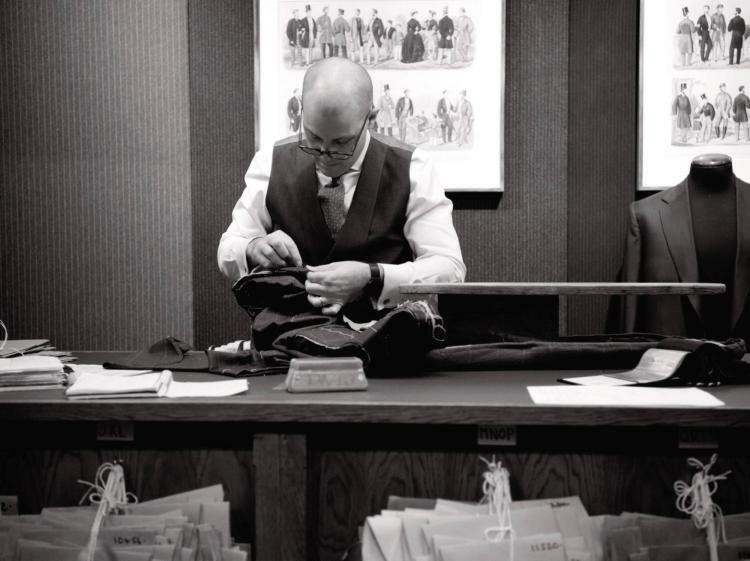 Baste fittings are planned to correct all mistakes before the detailed sewing takes place, so the Head Cutter will proceed to make the necessary adjustments in order to ensure that, whatever the buyer’s abilities, the garment shall have the perfect Huntsman fit. After this hard work, the winner of this lot will be invited for lunch or dinner by Huntsman's Chairman at London‘s new Club Extraordinaire Annabel’s.